IT’S WHAT MAKES US YOUR TRUSTED SOURCE FOR SOLAR ENERGY! 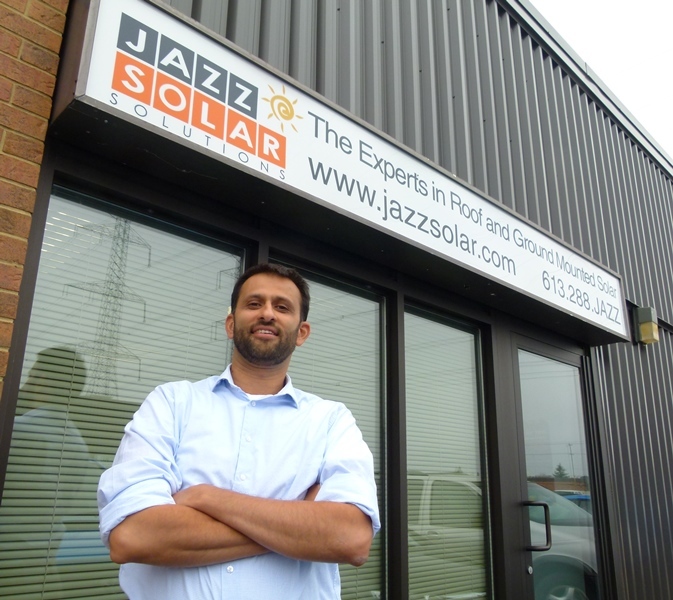 Jazz Solar was founded by Khetan Bhalla, one of Ottawa’s most successful entrepreneurs and visionaries. Since its inception JAZZ Solar has designed, installed and brokered more than 200 projects. Its team represents a who’s who in solar expertise, ensuring that you will always be serviced with the utmost attention to detail and that your solar energy system will yield lasting performance. Click here to meet the team. Our broad range of experience includes residential and commercial solar energy, FIT and microFIT projects, and off-grid designs. We are particularly proud of our achievements in working with First Nations communities in developing green, environmentally thoughtful and profitable solar energy ventures. Our growth has also allowed us to begin exporting Canadian excellence in solar energy to other countries. JAZZ has pioneered Carrier-Class PowerSystems — Custom engineered solar solutions that exceed the industry’s highest standards of reliability and performance for over 20 years. JAZZ can reference many delighted Ontarians with roof and ground systems ranging from 3 kW to 250 kW. Our solar, electrical and mechanical engineers have over 100 years of combined experience. A JAZZ engineer will design and supervise the installation of your custom PowerSystem. JAZZ Turn-Key Performance Processes cover every step of your solar experience from permits to system commissioning, guaranteeing hassle-free installation and ownership. JAZZ is committed to maintaining best-in-class Health and Safety Standards, and is invested heavily in Solar Certification initiatives. Invest wisely with JAZZ Solar Solutions!